From initial contact with our team right through to a completed project our experienced team are here to share expert knowledge and support you on your project journey. 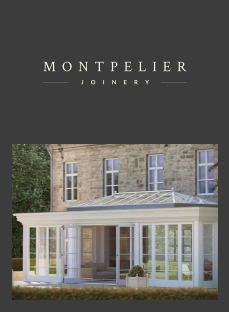 Montpelier Joinery provide high-quality, bespoke and classic products which are designed to last, from Garden Rooms and Orangeries to Bi-folding doors and windows each of our products are designed to exceed our client’s needs and expectations. We pride ourselves on our intricate designs and attention to detail to create the finest products for each client, adding not only value to the property but enriching our client’s lives. Montpelier offer a free on site design service to produce a bespoke design concept for you. We will produce bespoke drawings that complement the architecture of your existing home. We produce a detailed fixed price quotation for our work that is based upon our design drawing so that you have a complete picture of costs relating to an exact design, eradicating the fluctuation of price. Montpelier offer a full planning application service and will handle all aspects of the planning application process on your behalf. This includes submission of all planning drawings/application documents and negotiations with Local Planning Authorities as required on placement of order.